Personal injury solicitors specialise in providing legal representation to anyone who has been injured as a result of another person’s wrongdoing or negligence. The injuries could be physical or psychological and the defendant could be an individual, company, government organisation or any other entity. The personal injury solicitor that you hire to represent you in the claims process will take care of all the formalities for you from the beginning to the end. They will prepare the statements for the insurance company, calculate the compensation amount that is due to you, negotiate with the insurance claims adjuster or any other parties involved on your behalf and advise you of the best course of action to take depending on your unique circumstances. If your personal injury claim involves some complex legal or medical issues that vary greatly from the norm, personal injury solicitors will get the expert opinion of a legal or medical professional. If necessary they will even get the legal or medical professional to testify in court on your behalf. Are Personal Injury Solicitors Worth It? There is no argument about the fact that you are legally entitled to be compensated if you are injured for no fault of yours. Based on this, it would be natural to assume that claiming compensation should be very straightforward, especially if the evidence shows clearly that the fault was not yours. Unfortunately, the reality is far from simple. When you attempt to file a personal injury claim by yourself you might come across several obstacles that will prevent you from getting the compensation that is due to you. The biggest problem you are likely to face is dealing with the insurance company of the other party. Even if they know that the compensation is due to you, no insurance company will readily settle any type of personal injury claim. Generally, they will first decline your claim. If you pursue it further, they may eventually decide to settle but even when they do, the payout will be for the minimum amount possible. You can be sure that any amount that they settle on will be far lower than what you should rightfully have received. Calculating the rightful amount due to you is another area where you could end up making a huge mistake if you decide to file a case without the expertise personal injury solicitors provide. Recurrent expenses to treat long term injuries that hamper your physical capabilities. Expenses for long-term care and other modifications that may be required in case of some types of injuries such as spinal cord injuries that could leave you permanently disabled. Loss of actual income in case of short-term injuries and loss of projected income in case of long-term injuries. Expenses involved in providing the necessary support to ensure that defendants continue to enjoy the lifestyle they are used to. Personal injury spans a vast range of consequences from reduced earnings to loss of present and potential future income, escalating medical expenses, pain and suffering and the resultant decline in quality of life. Most people are not aware that they are entitled to intangible factors such as pain and suffering damages or decline in the quality of life. Unfortunately, not adding these components to your injury claim could result in you settling for far less than you deserve but personal injury solicitors know exactly what people can claim for. The time limitations for filing a claim could be yet another major hindrance to succeeding in filing a case on your own. All personal injury compensation claims must be filed within 3 years from the date of the accident. 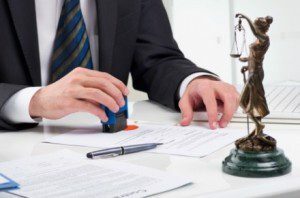 At first, 3 years may seem like sufficient time to get all the paperwork together but if you have not had any experience with legal proceedings before, just familiarising yourself with the legalities can take a whole lot of time, more so when you are also juggling personal and professional commitments. Three years can fly by quickly and if you have not managed to complete the formalities and file the claim in court, you may lose out on any chance of getting compensation for your injuries. With so much at stake, it is advisable to get in touch with personal injury solicitors to file your personal injury claims and represent you in court. Experienced personal injury solicitors are familiar with the legal process and how it works. They know what paperwork you need to put together to support your claim and they know what aspects of your case they should highlight so as to file a strong case that will get you the compensation that you deserve. Moreover, most personal injury solicitors will represent you on a No Win No Fee basis. This is also known as a Conditional Fee agreement. Under the terms of such an agreement, the personal injury solicitor will agree to put together a case and fight on your behalf without charging you any upfront fees. They only get paid if they win the claim for you. In most cases, the fee will be a percentage of the compensation that you receive. This means you get the benefit of the personal injury solicitors experience and expertise without having to pay any upfront fees. You only pay the agreed amount after you have received the settlement so you are never out of pocket at any point in time. Sometimes, just the fact that you have a personal injury solicitor representing you can be a powerful motivator to get the defendant’s insurance company to pay up rather than face a long-winded trial that they know they will likely lose. It is a far less stressful way to get your dues rather than having to confront them yourself. I goes without saying, lawyers representing the insurance company will take advantage of your inexperience to intimidate and confuse you with a whole lot of legal jargon. When you are already injured, your first priority should be to take care of your health and try and get as much rest as possible so that you can recover completely. Finding and hiring an experienced personal injury solicitor to file your case for you will allow you to take the extra time you need to heal. During the first meeting with a personal injury solicitor, they will interview you to obtain as much information as possible about the accident and the injuries that resulted from the accident. They will want to know where and when the accident occurred, the circumstances surrounding it, names and contact details of any witnesses who may have been present and are willing to testify as to what they saw. They will also want to know all details about the medical treatment you received and whether ongoing treatment or medication has been prescribed. It is crucial to answer all questions as honestly and in as much detail as possible as the framework of your case will be built on the information that you provide. Personal injury solicitors will use all of the information provided to assess the merits of a claim. Considering they will be almost certainly taking on a claim on a No Win No Fee basis, it is only expected that they will explore every aspect of any personal injury claim to determine whether it is worth pursuing. They will only agree to represent you if you have a strong case and the chances of winning any compensation are high. If you have a weak case they may advise you about the risks of going ahead with pursuing your claim. They would also in all probability refuse to take up your case. Once the solicitor has agreed to represent you, you will have to sign an agreement giving the solicitor who is acting on your behalf access to all matters pertaining to this case. You will also have to agree to pay the personal injury solicitor a certain percentage of the compensation if they win the case for you. Most personal injury solicitors offer a free first consultation, which is something you can take advantage of when you are looking for someone to help you file a personal injury compensation claim. Make appointments with multiple solicitors so you can compare their different working styles and determine whether you feel comfortable having them represent you in court. It may take some time to find the right solicitor for you but that is far better than simply picking out personal injury solicitors out randomly and realising too late that you made the wrong choice.